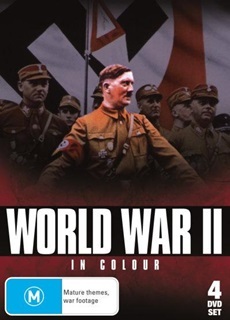 One of the most comprehensive documentaries ever made on World War II , featuring rare and unseen footage. By using the very latest colorization techniques it is now possible to show the full story of World War II as it has never been fully seen before. With the very latest satellite delivered terrain mapping and state of the art graphics this story can now be told with the very latest access to information which was not previously available to other older series. Conventional wisdom has recently changed as more and more secrets have been revealed particularly in the last five to ten years as documents, files and photographs have been released. Code breaking revelations, and newly released government papers on both sides of the Atlantic have added a very insightful new dimension to the understanding of this the worlds greatest ever conflict.